If you're an iPad owner, you should check out the DisplayLink iPad app. I downloaded it last week but didn't get around to checking it out until now - in short, it uses your iPad's WiFi connection to turn your iPad into another monitor on a Windows 7 computer (sorry OS X users). I had it up and running in about 90 seconds - you simply install the Windows 7 desktop application, it adds a virtual display, and on the iPad your computer will show up as a location that can be connected to. 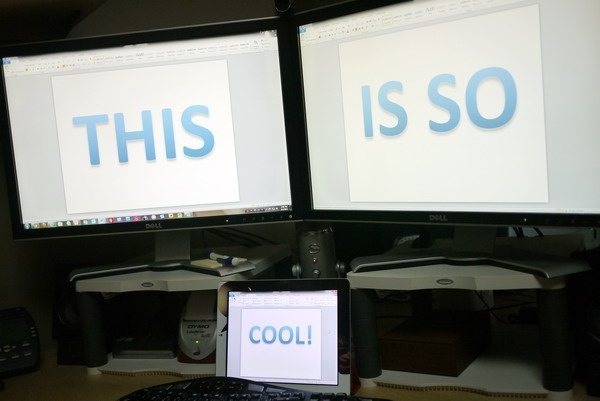 That's right, you can have an extra monitor on multiple computers (not at the same time of course). 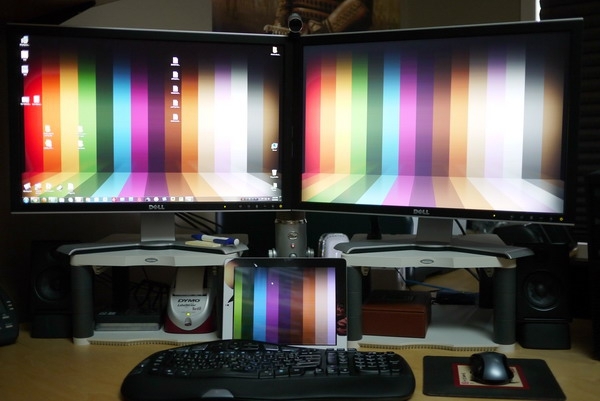 Under Windows 7, you can manipulate your iPad as if it were a connected monitor. Conceptually, there's a lot to like here. The idea of being able to move a program onto the screen of a tablet device, then take that device elsewhere and continue to work via this desktop extension, is seriously cool - but without a touch layer, DisplayLink doesn't allow for that scenario just yet. In practical terms, there are some significant limits. To conserve bandwidth, it looks like they down-sample the number of colours displayed on the screen, which results in dithering. Video is basically unworkable - I tried watching a YouTube video on my iPad and it was about 1fps - and moving a window onto a 1024 x 768 screen that's 9.7 inches in size can be somewhat squint-worthy. 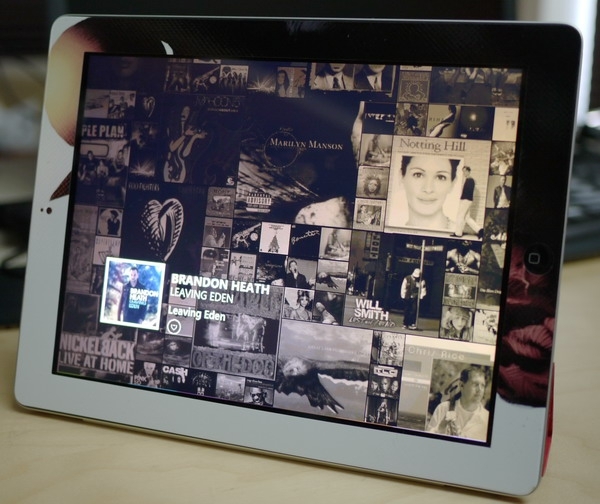 Figure 2: If I were devious, I'd spread this photo around, claiming it was a Zune app for the iPad. But I'm not that kind of guy! If you're going to use this as a third display, it's going to be for very specific apps that make sense - you might need to get creative. I moved the Zune desktop software onto the iPad screen for instance, and it works, but in the full screen Now Playing mode, text is jagged and ugly looking. I suspect the app is using some form of DirectX rendering that simply doesn't translate properly on a remote terminal window. Using the cursor in this mode is painful - it's like being connected over a 56K modem (anyone remember those?). In the regular Zune mode, it's quite usable. Photo frame? It works nicely for that, as long as you disable transitions and keep it simple. TweetDeck? Now we're talking1 I tried that and it worked great. With some optimization of columns and the iPad connected to power, you could easily have a great social media-dedicated display. Figure 3:*Yes, that's Microsoft Word 2010 running on three different displays - one of which I can pick up and walk away with. How cool is that? The DisplayLink app is free at this moment, though it sounds like they might make it a pay app soon, so if you're interested in this, download it now. And if you like that desktop wallpaper,*here's where you get it from. Jason Dunn owns and operates*Thoughts Media Inc., a company dedicated to creating the best in online communities. He enjoys*photography, mobile devices,*blogging, digital media content creation/editing, and pretty much all technology. He lives in Calgary, Alberta, Canada with his lovely wife, his wonderful son Logan, and his sometimes obedient dog. He's enjoying trying new things with his iPad 2. Do you enjoy using new hardware,*software*and accessories, then sharing your experience with others? Then join us on the*Thoughts Media Review Team! We're looking for individuals who find it fun to test new gear and give their honest opinions about the experience. It's a volunteer role with some great perks. Interested? *Then click here for more information.